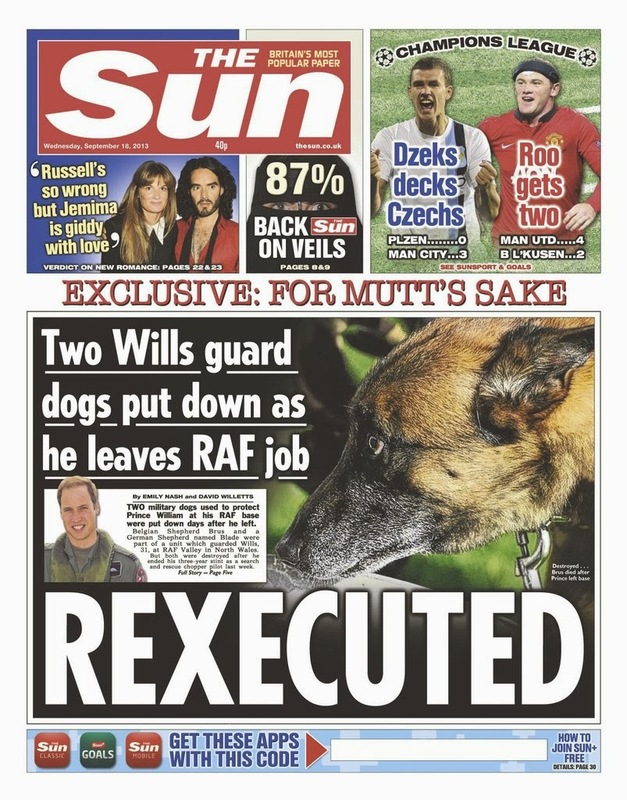 There have been some interesting headers kicking around this week but my tabloid headline of the week has to be this one from The Sun. The paper has always been partial to a rhyming headline - and getting conk and bonk into one heading is a tabloid sub-editor's dream. I was with the Daily Mail's subbing trainees this week and I set them the task of examining Wednesday's papers to find the best, worst, laziest and most vivid headlines of the day. 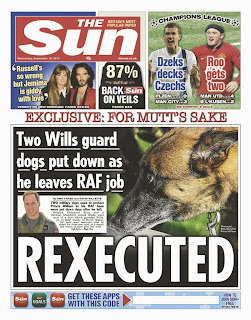 They were divided over 'Rexecuted', The Sun's splash on Prince William's guard dogs being put down. I quite liked it ... Rex as a dog's name and, of course, king. But whereas some chose it as the best pun of the day, others thought it was the worst. The dogs, they said, are called Brus and Blade. 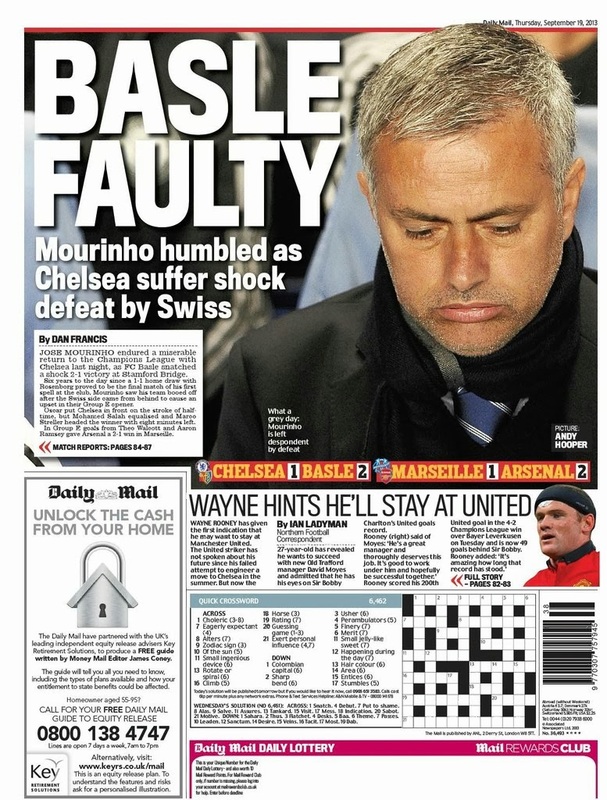 Back on the sporting front there were lots of puns on Jose Mourinho's 'shell shocked rotten eggs' being 'scrambled' and 'fried' by Basle on Wednesday night. 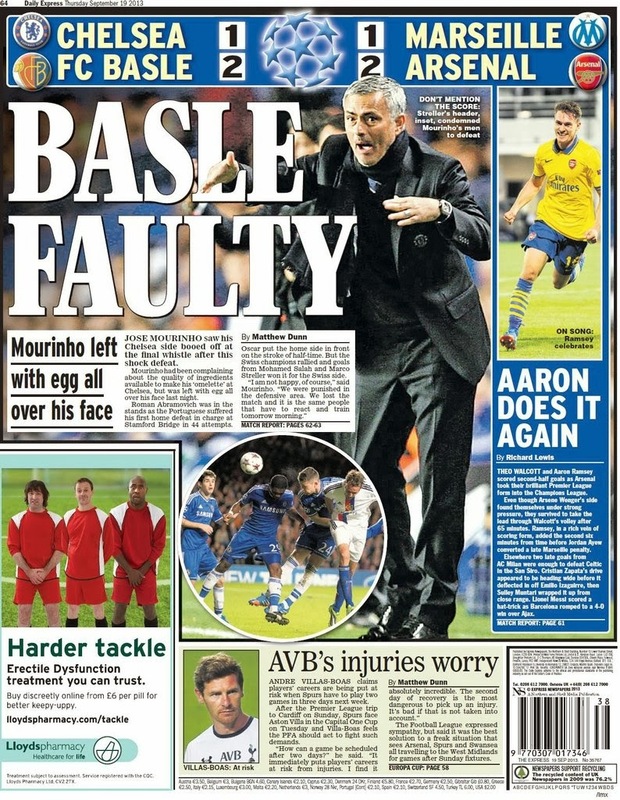 I preferred 'Basle Faulty'. It was fairly obvious I guess (and I'm sure I have seen it before) but it worked well with the comical picture of Mourinho in the Express. 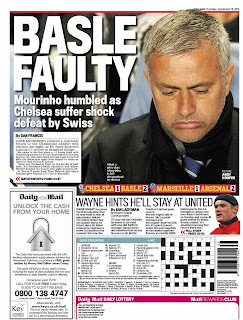 The Mail used it too. 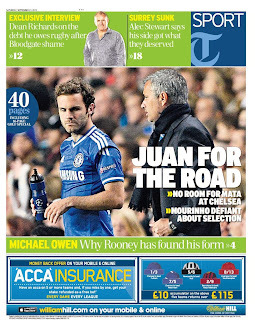 My favourite footballing pun of the week though was in The Daily Telegraph. 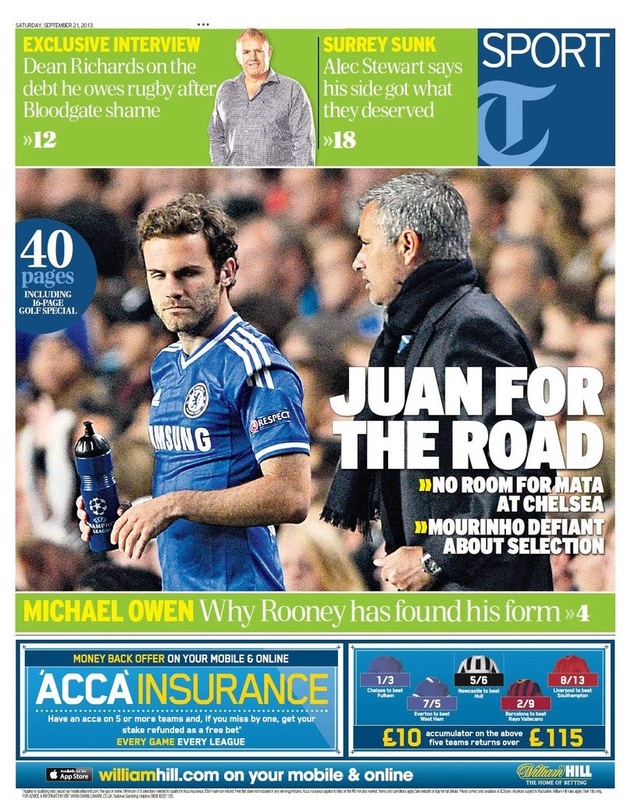 'Juan for the road' sums up Mata's position perfectly in only four words. The ambiguous headline of the week was this one from the BBC website. 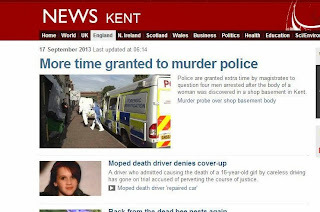 Chris suggested that it might be the greatest headline to have ever appeared in the paper ... and had the temerity to asked if I had written it. Even before my time that one.